$2 – $10 per 100k – STP account. Introducing new payment method: CreditCard, inPay. August 7, 2013: FasaPay and PerfectMoney are available for deposit/withdraw. May 15, 2012: Add a listing for AGEA. Could you please remove Inpay as payment option on the following link. Spread was increased by our liquidity provider for some days near the date of your complain, we did obtained a better spread now, you may try with our Standard MT4 account for the better Silver spread. (Around 0.06 at the moment). If you still have any issue please kindly contact us to [email protected] so we can solve them. I have using this broker since 2006 as marketiva now Agea hiring door. I mean they are the best in deposit, withdrawal, customer support is the best. I can never trust any broker accept Agea . Feel happy with this broker. I wish they continue this way. I have been with them for 2 years, trading silver commodities. Till some weeks ago everything was fine but suddenly they doubled the spread . At old days it would be something between 0,06 and 0,10 now is 0,20… which i think is unacceptable ! I wonder if you have the same spread ? I appreciate you help me to find out please . If we talk about security then this broker offer the best service and I can see that they care much about our money. When I make withdraw, they always make sure that the name on the payment processor matched my name, it’s security measure for most brokers but even more than that, when I change my payment processor I need to chat directly with them to confirm that I really want to make the change, just in case someone has access to my account and want to stole the money. But, they offered it with a fee and that’s something I feel annoyed sometime. When I change payment processor I need to pay a one-time fee. I guess it’s for security re-checking by them. I tried out the broker as they were giving the $5 bonus to trade with, the bonus was really an attractive offer for newbies. But the rules are something weird, we can’t trade in MT4 platform with the bonus, even the bonus is just $5 but the first commision of withdrawal is $7, and its even hard to earn with with leverage like 200:1. The leverage i think is the biggest disadvantage of this broker, otherwise this broker has the potential in it. The minimum deposit with this broker is very affordable and at the same time we can start trading with just $1 here and at the same time I can know that their former name and plartform is marketiva. They use to give $5 bunos so if the admin of this site(Broker) is still doing the promo then I will recheck them and add them to my broker list. We can trade anytype of commodity with them. free 5$ bonus , can trade with 1 sen have 2 platform metatrader and streamster with a chat forum and 24 hours a day cooperative online support. Easy to deposit and withdraw . 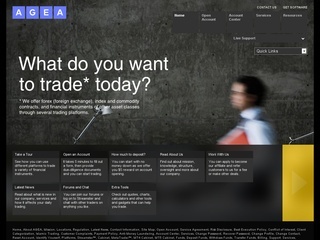 AGEA is especially great for new traders. It gives $5 free money so you can practice live trading with this – and maybe make money from it! 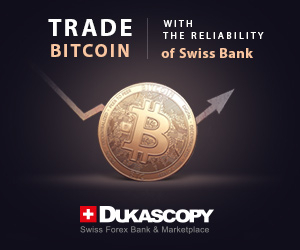 Unlikely most brokers it requires no deposit, and you can make trades as small as $1. They have their own platform – Streamster – which is great for learning on, and they have the international MT4. They also have some of the lowest spreads in the market and have great 24 hour, multilingual live support. It’s worth a go with no investment and $5 free! Plus you get a lifetime virtual account with $10,000 virtual money – great to practice with. Their live support is amazing and always fast to answer my questions, you cannot complain with their support service. I traded with them for over a year and each payment request processed very fast, I get payment the same day to my ecurrency account, almost.